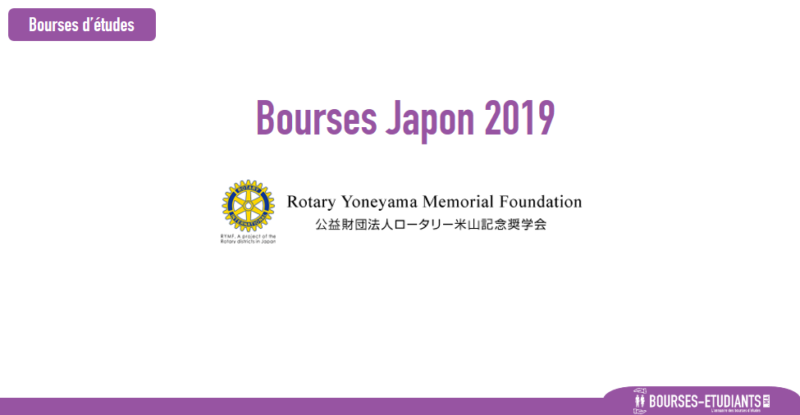 Rotary Yoneyama Scholarship for applicants residing abroad is for overseas students scheduled to enroll in a Japanese university / graduate school. All Rotary International District in Japan will open for 2019 enrollment. Applicants are expected to have Japanese language proficiency: to understand basic Japanese: JLPT N4 level. Applicants have to find out and apply for Japanese universities / graduate schools by themselves before applying for this scholarship. And those who enroll in undergraduates are requested to submit a copy of the application for admission for the university / graduated school. Those who enroll in graduate schools are requested to submit a recommendation letter from a supervisor / professor of the applicants’ targeted graduate school. Application deadline: 15 December 2018 1:00P.M. Japan time for both April and fall (September/October) 2019 Enrollment. Read the Application Guidelines thoroughly and carefully, then prepare the documents precisely. Please don’t submit any documents which are not required in the guidelines. Application documents should be sent by email to the foundation. 15 December 2018 1:00P.M. Japan time for both April and fall (September/October) 2019 Enrollment. Application documents must arrive by the date. Notification of selection results are made by email at the following times: Middle of February 2019. *If the applicant is rejected for admission to the issuing university / graduate school, s/he will lose eligibility for the scholarship at that point. *Research students are not eligible. A single one-way-airfare-to-Japan is reimbursed at orientation, after arrival in Japan. Successful applicants must submit documentation showing the one-way-airfare-to-Japan. Only the economy class fee is covered. *This scholarship is not full-covered, so tuition and enroll fee can NOT be paid by us. *The application guideline is judged based on the one written in Japanese.